Kailash Satyarthi is spearheading initiative. 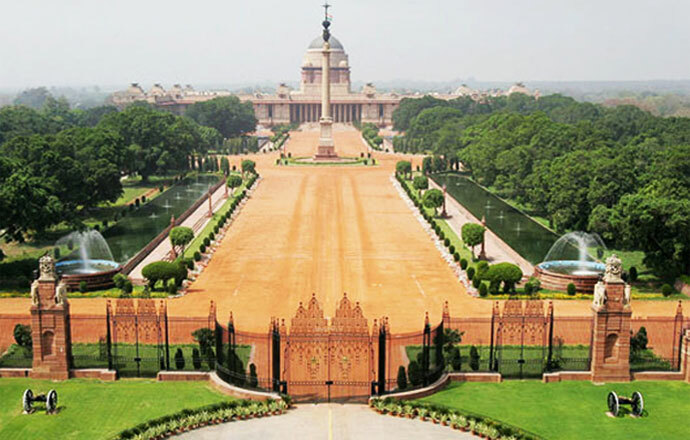 Rashtrapati Bhavan in New Delhi saw thousands of students on Sunday who gathered to speak for their counterparts living in disadvantaged situations, as part of a global campaign to make improvement in the life of children. The campaign aims at building awareness through social media to promote the youth by representing them in governments and the international community to improve the life of children. The initiative is headed by President Pranab Mukherjee and renowned leaders such as Holland’s Princess Laurentien and Nobel Laureates from India, Yemen, and Tunisia. More than 3000 children marched at the palace to set the beginning of “100 Million for 100 Million” campaign. President Mukherjee while speaking on the sidelines of the event said the campaign was a long overdue one aimed to make an improvement in the life of children. “Despite the progress the world has made in science and technology, economic development, and in other spheres of human endeavor, there are still over 100 million children who are out of school and are being denied their childhood and are facing exploitation in various ways,” said Mukherjee. “Humankind must realize without any further delay that there can be no progress unless our children are safe and secure, unless they are provided with the freedom and opportunity to become agents of change for larger good of humanity,” he added. According to UNIFEF close to six million children die before the age of five years due to avoidable medical complications. The organization has also found that millions of children are denied access to education because their parents are poor and they live in conflict-hit nations such as Syria, Yemen and Iraq. Even though the poverty rate is falling globally, there is an increase in children who live under extreme poor conditions and are being exploited. “We want to create a new civilization, a new world order where 100 million left out children and 100 million better-off children do not go in two different directions and create much more inequality across the world,” he said.